Mu Cang Chai is famous for the stretch of hazardous roads spreading out for tens kilometers of infinite and primeval landscapes, grandiose ranges of mountains and the peaceful and poetic picture of ethnics’ houses covered by terrace fields. Mu Cang Chai is a district of Yen Bai province, it shares the border in the north with Van Ban district of Lao Cai province, neighboring in the south of Muong La district of Son La province, being the west of Than Uyen Lai Chau province, sharing in the east of Van Chan district and Yen Bai province. The district is located at the foot of Hoang Lien Son mountain range, at an altitude of 1,000 m above sea level. Want to get Mu Cang Chai district, traveler will go through Khau Pha Pass that is one of the four imposing passes in the Northwest of Vietnam. Location: Concentrating mostly in 3 communes of La Pan Tan, Che Cu Nha and De Xu Phinh, Mu Cang Chai District, Yen Bai Province. Characteristics: Mu Cang Chai terraced fields spread out more than 2,300ha at a height of 1,000m above the sea level in Hoang Lien Son Mountain Foot. Mu Cang Chai is a western district of Yen Bai Province, about 350km to the north-west of Ha Noi. The district is bounded to the north by Van Ban District (Lao Cai Province), to the south by Muong La District (Son La Province), to the west by Than Uyen District (Lai Chau Province) and to the east by Van Chan District (Yen Bai Province). 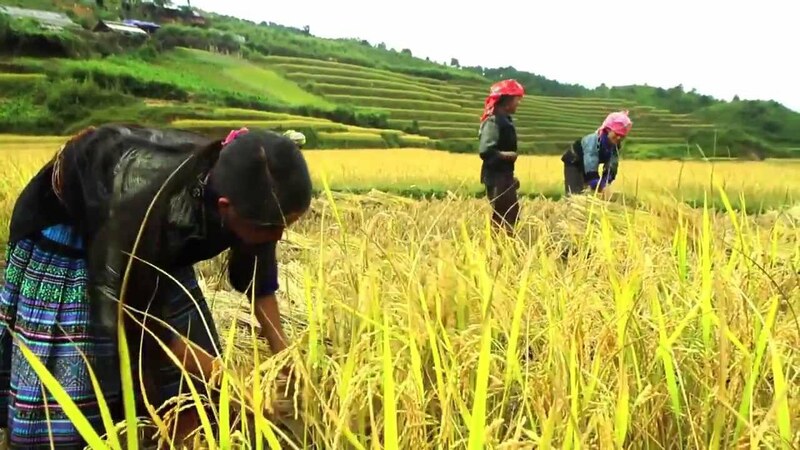 Due to the steep feature, fertile soil and mountain cliffs often stock water, the local people, mainly Mong ethnic minorities, can grow rice and establish terraced fields, one after another, from the foot to nearly top of mountains. Generations to generations of these people have made terraced fields as today. When being seen from afar, the terraced rice fields look like a picture of nature whose colour changes seasonally, exhibiting its most alluring charm when the new crop begins, green rice grows and the field is lush with ripening rice. As usual in April and May, when local people water their fields at full to prepare for a new crop, the surface of terraced fields shines like a mirror reflecting the contrast of the reddish brown of soil, the deep blue of the sky and the green of surrounding forests. Embankments surrounding these terraces look like threads softly lined by the painter. In June and July, the terraced rice fields with fully-grown paddy rice and forest trees spread the green out to the entire area, from the foot to top of mountains, before disappearing in mist. The green of paddy rice grown on the terraced field makes visitors think of it as a hand-made creation of uniqueness which cannot be found anywhere else. Coming to Mu Cang Chai in September and October, when autumn ends, visitors can feel prosperity all over the area as rice in all terraced fields is ripe, giving the gold colour. During the time, the terraced rice fields look like golden silk scarves flying over in the wind above green mountain slopes, making the mountainous landscape astonishingly beautiful. Terraced rice fields in Mu Cang Chai coupled with distinctive cultural practices of local ethnic minority groups have created the uniqueness of the locality. 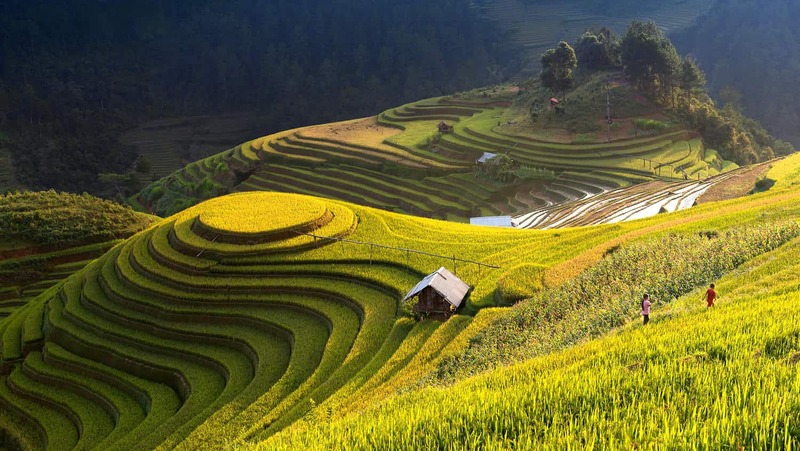 This explains why many tourists, both domestic and foreign, are increasingly flocking to Mu Cang Chai to admire these “terraced rice field masterpieces”. On 18 October 2007, Ministry of Culture, Sports and Tourism recognized 500ha - terraced fields in 3 communes of La Pan Tan, Che Cu Nha and De Xu Phinh (Mu Cang Chai) as a national landscape. 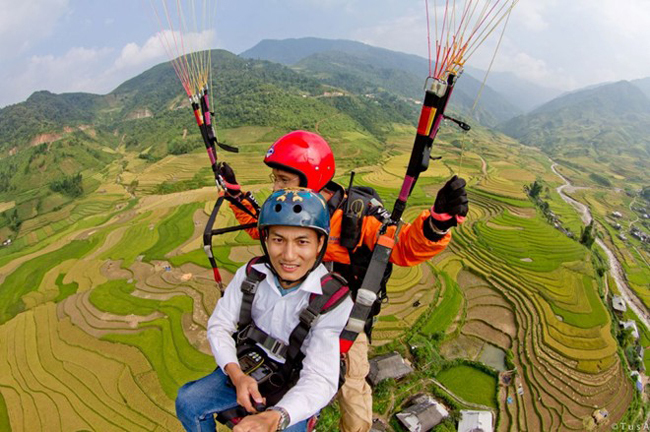 The paragliding festival is held annually in May and September in Khau Pha Pass, Mu Cang Chai District to honour and promote the values of the terraced paddy fields and ethnic peoples’ culture in the locality. Participating in the festival, visitors will have the opportunity admire the beauty of Mu Cang Chai terraced rice fields from above. What are the characteristics of local gastronomy? In Mu Cang Chai, you can enjoy typical dishes of ethnic groups as Hmong, Thai... like: sticky rice of five colors, black Banh Chung, Pa Pinh Top grilled fish, grilled chicken with leaves of Mac Mat, dried buffalo meat…These are all traditional dishes of local ethnic minorities. This is a common dish for party of the population in northwest of Vietnam, especially Thais people in Mu Cang Chai of the Yen Bai province. According to different requirements, they can use more or less colors but often there are white, black, purple, yellow colors which are the most used. This is a typical dish of Thai ethnic group in Nghia Lo valley in the province of Yen Bai. Normally, the black Banh Chung is made on the occasion of Tet festival like Kinh people, but if you're lucky, you always see it at the fair in Mu Cang Chai. The special feature is the shape and color. Thai people make their Banh Chung in cylindrical form or by folding the leaves as in the regions of the plain. Pa Pinh Top grilled fish (Cá nướng Pá Pỉnh Tộp) is an indispensable dish in the cuisine of the Thai ethnic people in Vietnam. Depending on the language of this people, this name means "folded and grilled fish." The fish is placed directly on the coals or in a grid. The fish has a mild flavor, firm but not dry. Thanks to spices mixed in fish, this dish remains always and especially in the minds of guests. For grilled dishes of Thai ethnic people in general in Vietnam or in Mu Cang Chai in particular, the leave of Mac Mat is a really important spice. Grilled chicken with leaves of Mac Mat has sweet and sour taste. 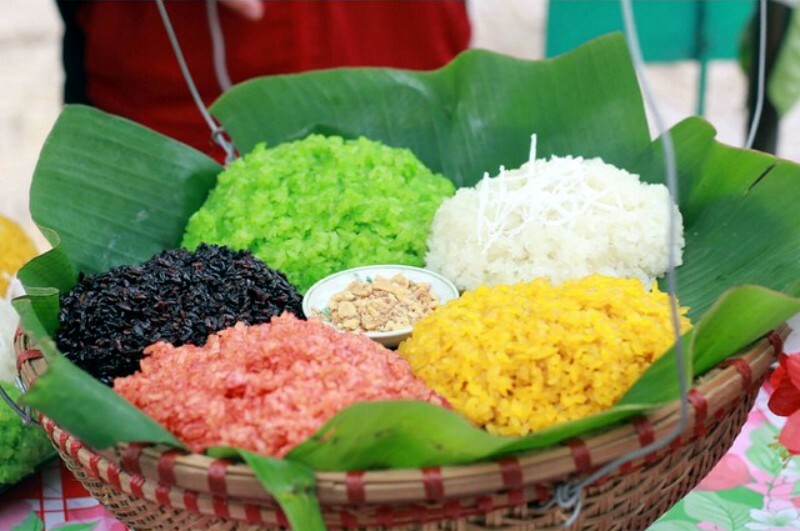 This dish is served with Cham Cheo - A kind of sauce mixed of salt, fragrant herbs of different kinds of ethnic groups in the northwest of Vietnam. What do you buy in Mu Cang Chai as gifts? 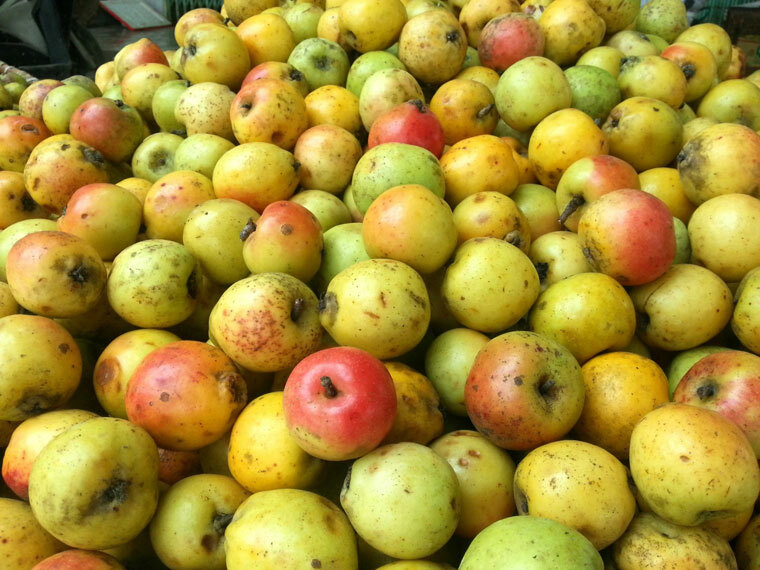 If you want to buy gifts in Mu Cang Chai, you can choose wild apples, bamboo shoots. These products are sold on roadside, in Tu Le market or in the central market of the capital of Mu Cang Chai. In addition, the traditional textiles of various kinds of ethnic groups are at affordable prices. Most of the costumes are handmade products of women of ethnic groups. You can buy it at Mu Cang Chai market open all day. Distance Hanoi – Mu Cang Chai is 280km. The route condition is very bad so you have to take about 1 day to arrive by bus. After taking a trip from Ha Noi to Yen Bai City, visitors will have going 40km on National Road No.37 before turning on the right to catch National Road No.32 running through Nghia Lo Township to Tu Le. From Tu Le, visitors will have to pass Nam Khat Pass, which is 2,000m above the sea level, continuing to go on the western slope of Hoang Lien Son Mountain range and along Nam Kim Stream before reaching Mu Cang Chai. Another option for visitors is they can take a trip on National Road No.32 from Ha Noi, via Son Tay and Tu Le to end in Mu Cang Chai. Don't be in rush to book bus ticket in advance especially if you can't speak Vietnamese. Check in your Hanoi hotel then ask the help from hotel front desk. Surely they will help you make deals and book bus tickets easily 24 hours in advance. They will also show you how to get to My Dinh bus station. Remember Hai Van buses don't park inside the station. They're using a mini parking place outside. You should wake up early, around 4:30 AM as you need to have breakfast before getting on a local bus that departs at 5.30 AM to Mu Cang Chai Town. Note: The bus will not stop for breakfast. Buses will pass by many tea plantations and the beautiful impressive Khau Pha pass. Departure: in front of Yen Bai bus station (218 Tran Hung Dao St, Yen Bai). Distance: 183km (6 - 7 hours). Make sure that you walk to the main building to buy ticket and avoid following any driver who convinces you to get on his vehicle. Ask the driver to let you get off at Yen Bai bus station (Bến xe khách Yên Bái). There are many hotels, guesthouses here and you can get the early bus to Mu Cang Chai. The trains usually depart at night (7:40PM, 8:35PM, 9:10PM, 9:50PM) and arrive in Yen Bai train station in the early morning (4 - 5 hours). Stay in Mu Cang Chai town. Rent a motorbike and start your journey. From the center of the town to Che Cu Nha, De Xu Phinh, La Pan Tan is just about 21km. Where we can stay in Mu Cang Chai? 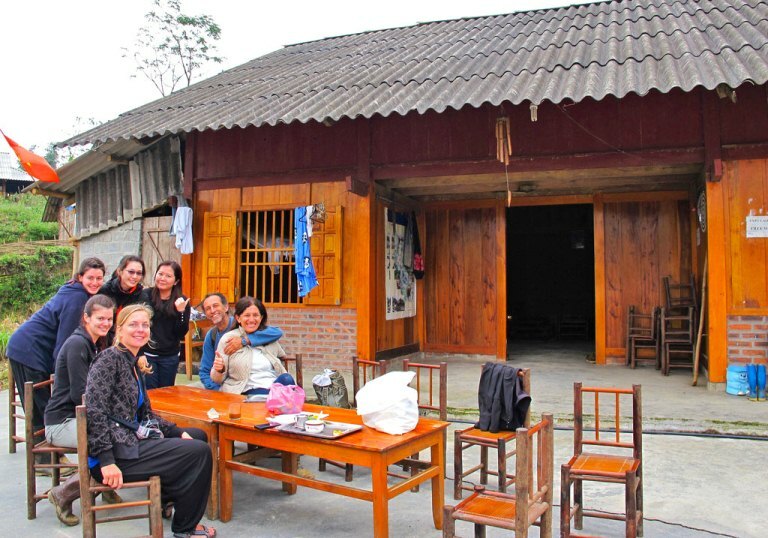 The accommodation establishments in the capital of Mu Cang Chai are as simple as local guest houses. 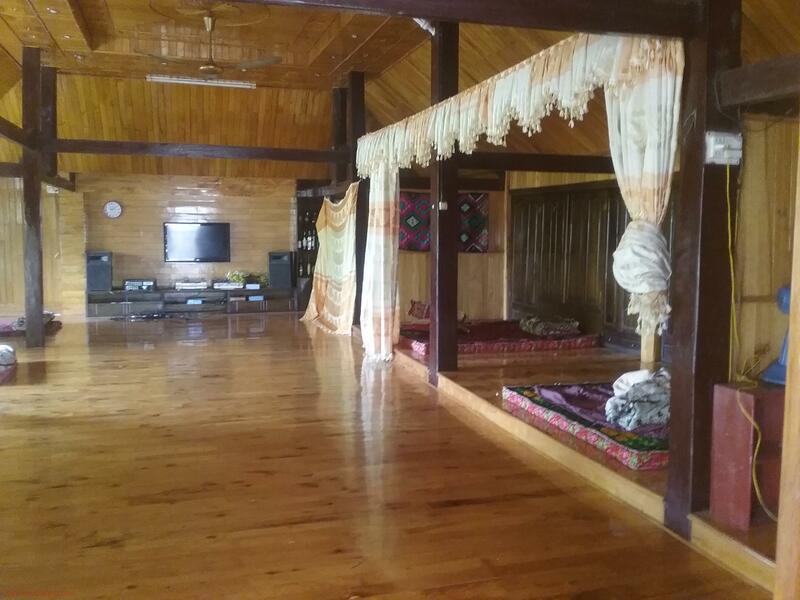 We highly recommend the night with the local people or home stay. This is ethnic Thai who arranged their wooden houses on stilts to accommodate travelers. The amenities are basic but clean. Especially, the contact, the sharing of local life in Vietnam in general or in Mu Cang Chai in particular will make your trip more interesting and human.